Hardly anyone ever remembers Simeon Toribio and Miguel White. Toribio was the dominant force in Asian high jumping back in the 1930’s, lording it over the old Far Eastern Games, the pre-cursor of today’s Asian Games. 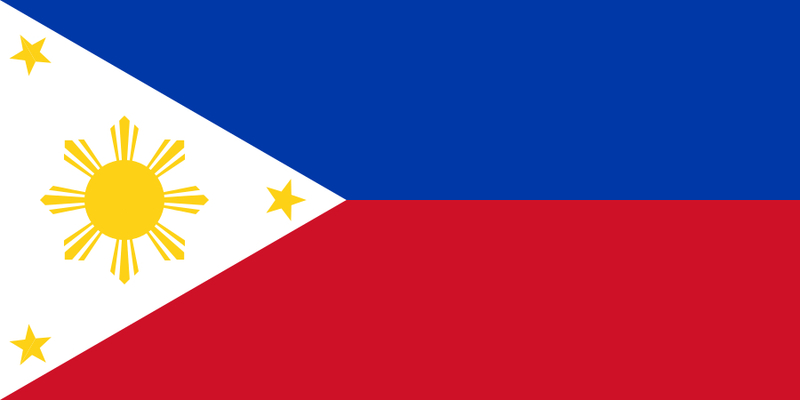 The Boholano won the Philippines’ first medal in athletics at the 1932 Los Angeles Games, a bronze in the high jump. Four years later in Berlin, White emulated Toribio’s feat in the 400m low hurdles. The Philippines is in the midst a running boom. Hardly a weekend goes by without a running event in the offing. A multitude of companies (from pharmaceuticals to bakeshops) utilize running events to better market their respective products. The past few years have seen the arrival of professional East African distance runners who regularly take part – and dominate – the cash-rich road races all over the country. One can consider the running boom as just a fad. However, running has perhaps been embedded deeper than billiards, boxing and badminton. With the multitude of running events, surely, the running bug has afflicted quite a large number of citizens. Besides, running is a relatively cheap physical activity – if you don’t join those expensive races, that is. To get that addictive runner’s high, one only needs a good pair of shoes and comfy clothes. Running, apparently, is here to stay. As an athletics junkie and a track athlete, I’ve often wondered how this exponential interest in running could trickle down to the other disciplines of the sport. After all, the far less popular track events are, in principle, similar to these road races. The object of a sprint race and a road race is simple: to reach the finish line in the shortest possible time. Despite vast differences in tactics, training, strategy and event rules, the ultimate objective remain fundamentally the same. The sport has almost been completely neglected by the media, corporate sponsors and the general viewing public. An infusion of interest, trickling down from the running boom, could be the driving force for an athletics renaissance. To illustrate the current state of Philippine athletics, the medal-winning performances of Toribio and White are still competitive against the current generation of track & field athletes. For instance, Toribio’s 1.97m leap, accomplished using the old-school straddle method, at the 1932 Olympic Games high jump final is still good enough for the top three at the 2011 Philippine National Games. Similarly, White’s 52.8s time in the low hurdles would wallop most of the country’s top-level intermediate hurdlers. Aside from a resurgence in the Gintong Alay days and a brief revival in the early oughts, Philippine athletics has been on a sharp downtrend. Since those double bronze medals in the thirties, the best finish of a Filipino in the Olympic Games was Hector Begeo’s semi-finals appearance at the 3,000m steeplechase. Even the great Lydia de Vega and Isidro del Prado could only reach up to the second round. Although our lean and mean athletics squad is fairly formidable in the Southeast Asian Games, they wither in higher-level competitions such as the Asian Games. Our last medal in the said quadrennial event came way back at the 1994 Hiroshima Games. The Olympic “A” and “B” standards for athletics are much too high for the majority of our track & field elite; hence, the country only sends a handful of wild card representatives. With these forgettable performances, it is unsurprising that athletics, despite its status as the centerpiece of the Olympics, languishes in terms of popularity and funding. It is unfortunate considering the huge amounts of talent our country has to offer. Despite our lack of an honest-to-goodness grassroots development program, hordes of young athletes crowd the Palarong Pambansa and the Batang Pinoy Games. The cream of the crop progresses to the country’s top universities. As these talents grow older, however, their ranks thin. Except for a talented few that joins the ranks of the national team or the Armed Forces, graduation almost always means retirement from the sport. Case in point is the Philippine National Games. Some senior events were held as a straight-off final, with the athletes barely going beyond eight in a heat. In the youth and junior competitions, qualifying heats could number up to four. To make a living out of the sport is grossly inadequate, especially when the prospective elite athlete has to provide for one’s family. In light of the gap in terms of elite-level performance and our local talent, a sustainable career in the international professional athletics circuit is next to impossible. Nevertheless, a schools-based sports system, albeit crude; exists for local track & field. A clubs-based system is imperative to lift the dismal standing of the sport. One can start from the existing Armed Forces teams. The multitude of companies that sponsor weekly road runs could perhaps invest in their respective corporate teams, similar to the commercial athletics squads in Japan, an Asian track & field powerhouse. Moreover, university teams could field their crack varsity teams bolstered by select alumni. What the sport needs is a winning figure: a marketable, articulate athlete that can act as the lightning rod of attention for this neglected discipline. It doesn’t have to be at the same level as a Manny Pacquiao, Efren Reyes or Paeng Nepomuceno. Someone who excels at the Asian level (the Southeast Asian level is much too small) would be a viable candidate. Having a world-beater as a national icon would jump-start the lethargic sport. A promising niche market, national interest and larger-than-life track & field star could perhaps provide the catalyst for an athletics boom in the Philippines. If countries like Jamaica (sprints), Cuba (jumps and hurdles), Kenya (distance running) and Ethiopia (distance running)– whose level of economic development is more or less comparable to our own – I see no reason for the Philippines to find its own niche in this medal-rich Olympic event. The resurgence of athletics will not happen overnight. It will take generations to overhaul our highly politicized system to equip the Filipino athlete as a world-beater. Each time I read about a promising provincial lad making waves in the Palarong Pambansa or see a bunch of kids exuberantly running laps around Ultra with their running-bug afflicted parents, the future of the sport looks bright. Perhaps some time in the not-too-distant future, a Filipino could once again stand on the coveted Olympic podium, this time with the “Lupang Hinirang” proudly playing in the background. Whilst stuck in EDSA traffic on my way to Ultra yesterday, I felt cold beads of sweat drench the old school Ateneo Track & Field warmer I was wearing. After an hour’s worth of snail-pace trudging, the familiar sight of the Blue and White greeted me. The feel of UAAP 73 is entirely different from the years past. Aside from a handful of seniors, the rest of the current members of the college squads are mere acquaintances. A small number of my contemporaries from the other schools have turned to coaching. Even the venue itself brings forth an alien feel, in light of the fact that the UAAP has been held in Rizal for the better part of the league’s 73-year existence. 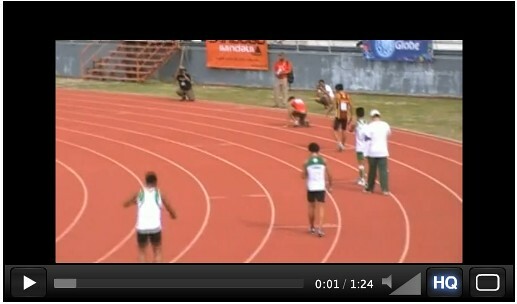 Freshman JB Capinpin missed the Long Jump top 8, after being disqualified for false starting at the 100m dash heats. Ateneo’s 1-2 sprinting punch, Soy Soriano and Franco Imperial barged into the century dash final in bombastic fashion, with the latter emerging the clear leader out of all qualifiers. In the final, Soriano overcame the fast finishing Jose Unso’s last ditch final burst, crowning himself as the fastest man of the meet at 10.8s. Surprisingly, the Men’s 110m high hurdles was held as a straight final. Back in the day, we used to have as much as 3 heats for high’s, with each school sending at least entries. De La Salle University’s Unso ran his heart out, stopping the clock at a hand-timed 14.7s. Unso, eldest son of national 400m hurdles record holder Renato, won convincingly over UST’s Emman delos Angeles (14.8) and decathlete Jeson Cid of FEU (15.0). Ateneo’s Dean Roxas (15.4s) and team captain Zek Valera (17.6s) finished 5th and 8th, respectively. DLSU’s Patrick Unso, the younger of the Unso brothers, was conspicuously absent due to conflicts with the release of his high school clearance. On the distaff side, UST’s Bane-bane was just too classy for the rest of the field, running away with a dominant 15.1s win. Ateneo’s Anj Aquino, after a gutsy effort in qualifying, ran a hard-fought 16.7 in the final. Veteran thrower Mica Sibayan won silver at the shot put, notching a new personal best. 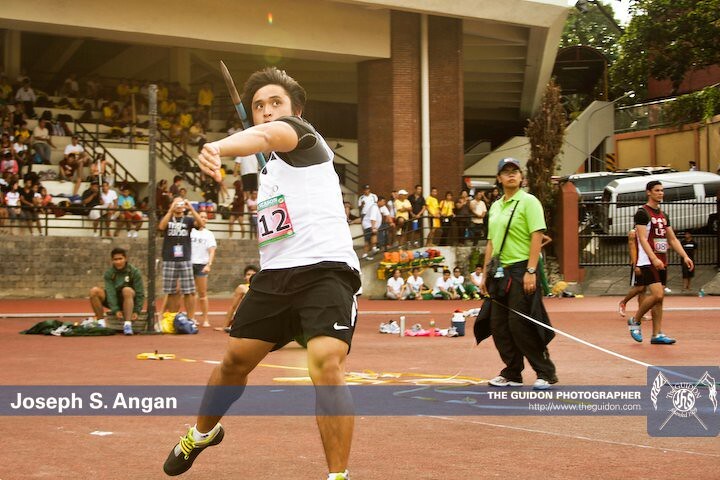 State University’s Precious de Leon heaved the shot to a distance of 10.14m, enough to overhaul Sibayan’s 10.09m. A determined Ally Lim clung to a 5th place at the 5,000m walk, collapsing through sheer exhaustion. Lim’s lung-busting effort signified the no-nonsense fighting spirit of the current crop of tracksters. Indeed, the women’s team had gone a long way. With the departure of sprint queen Maita Mendoza, women’s track & field powerhouses FEU and UST reigned supreme at their traditional bailiwick, the 100m dash. FEU’s Hanelyn Loquinto ran 12.1s over UST’s Luville Dato-on. The jumping marks were relatively lackluster, due to the substandard runway. FEU’s talented Cid could only manage a modest 6.46m leap – enough for the long jump gold. UE’s Gatmaitan, mentored by none other than the legendary Elma Muros, missed the women’s triple jump by a mere centimeter (11.79m). DLSU’s Felyn Dollosa won gold (11.80m). Ateneo High School’s Chuckie Dumrique stormed through the 100m dash boys’ final. The talented Toledo almost threw 50m en route to a commanding victory in the junior javelin competition. The versatile Joaquin Ferrer, however, came short at the 110m high hurdles boys’ final. UPIS’ Nasis ran the (hurdle) race of his life to edge out the more fancied Ferrer. Amidst all the action, the most memorable moment is Paco Razon’s desperate, last ditch heave for the bronze (article to follow). Ateneo’s Miguel Sibayan fell to fourth place. In a show of dominance, UST won both the gold and silver. UP’s Javier Gomez was unable to defend his javelin (and decathlon) titles due to a recurring knee injury. Whilst watching the events with Jerome Margallo, the UAAP pole vault record holder said something that warmed my heart. Margallo admired the support given by former Ateneo athletes to the current team. Coming from a hardened veteran and an accomplished collegiate athlete, the compliment brought forth feelings of pride – and a sense of accomplishment. This strong sense of team was the main driving force behind the modest successes of our college years. Even if three long years had passed since my last UAAP race, I still feel at home amidst the sea of familiar and not-so-familiar faces. As I cheer my heart out for this year’s young turks, I swell with pride at the thought that I too had once trodden upon those fertile field of dreams. * Special thanks to Andrew Pirie for compiling results. I had my first taste of national level competition back in May 2003. I was 17 years old, barely out of high school. I shaved off 1.44s off my personal best over the high hurdles, qualifying for the semis with a time of 17.55s. The 2003 Nationals was also the first time I encountered the Philippine national record holder for the sprint hurdles, Alonzo “Dudoy” Jardin. More than 7 years since that day, my recollections are just vague flashbacks. But one instance stood out. At the dugout of the Rizal Memorial Stadium, I wished him the best of luck as he went head-to-head against Thailand’s Suphan Wongsriphuck, then Southeast Asia’s best sprint hurdler. The Philippines is not known for its athletics tradition, much less the high hurdles. Aside from notable exceptions like Lydia de Vega-Mercado, Elma Muros-Posadas, Isidro del Prado and Marestella Torres, most of our athletes wilt under Asian-level competition. The Philippines’ last Olympic medals in athletics were won way back in the 1930’s (Miguel White in the 400m low hurdles and Simeon Toribio in the High Jump). Hence, it is not surprising that Dudoy’s 14.75s national record is light-years away from the Olympic “B” standard of 13.72s. 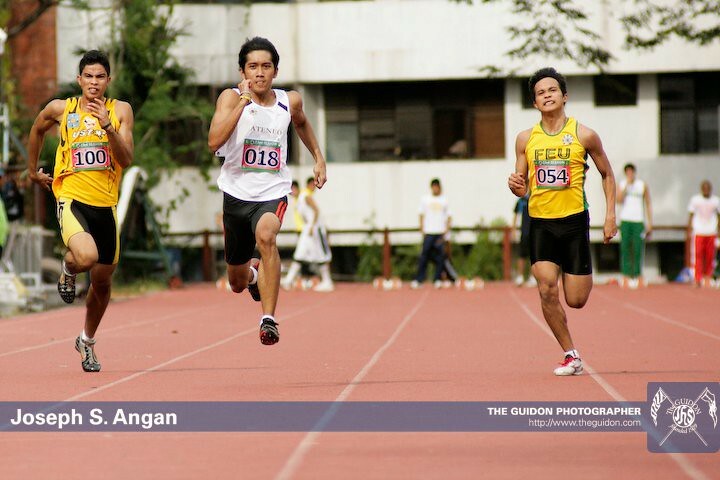 If I can choose one compatriot whom I look up to in the sprint hurdles, I can only name one – Alonzo Jardin. Don’t get me wrong, I fully appreciate Coach Nonoy Unso’s hurdling prowess, but since I haven’t seen any footage of his best years, I cannot make an honest assessment of the athletics legend. The same reasoning applies to my mentor, national decathlon record holder Fidel Gallenero. Although he taught me the fundamentals of hurdling form, I haven’t seen him race. In order for me to look up to someone – as a hurdler to another hurdler, I have to base my standards on more than just times and reputation. Dudoy was different. Even if he shifted to the decathlon in the twilight of his competitive years, I had much respect for his hurdling technique. As a sprint hurdler myself, I put more importance in one’s efficiency of clearance than to brute sprinting power. Yes, the 110m high hurdles is a sprint race. But in order to fully appreciate this wonderful event, one must look at it beyond sprinting alone. Hence, for me, hurdling is an art form. Everytime I watch Liu Xiang, Allen Johnson and Colin Jackson race clips, my jaws drop in awe at the symphony of speed. As a student of the event, I take much aesthetic pleasure from watching these great technicians demonstrate their craft. In the past 10 years I spent as a sprint hurdler, Dudoy is – without a doubt – the best exemplar of the Filipino hurdling artist. I had the privilege of racing the Filipino champion twice in my career. The first time was during the 2006 National Open. It was the finals of the sprint hurdles, Dudoy was at the lane beside mine. I wound up a far fourth place (15.65s – a new PB) behind Romel of TMS Ship (15.1), Joemary Padilla (15.1) and Orlando Soriano (15.5s). It turned out that Dudoy didn’t even finish clearing the 1st hurdle, to save his legs for the grueling decathlon. Months later, we went at it again. This time, he emphatically stamped his class, edging out Padilla of Mapua. I placed a distant 3rd (15.6). Dudoy ran a 15.1, if I’m not mistaken. Emer Obiena and Fidel Gallenero once told me about an Australian trainer’s awe at learning that Dudoy is only a a high 14 second sprint hurdler. With his hurdling proficiency, the Australian reasoned, Dudoy should be running in the 13 seconds. Perhaps it was his lack of flat out speed (he ran the 100m in around 11.3 to 11.4). An Olympic-level hurdler should be able to run the 100m in at least 10.5s. The last time I saw Dudoy was in 2009. I was in the midst of my first, ill-fated comeback. He was training again after tearing the ligaments in his knee after a freak javelin training incident. Alonzo Jardin’s 14.75s national record is bound to be broken one of these days. The younger Unso has the most potential to reclaim the national mark of his illustrious father. In a country where athletes from the less popular sports tend to get marginalized, Jardin will probably be forgotten by the generations of tomorrow. Writing this piece is the least I can do for a fellow hurdler. Never mind the results; never mind the accolades. Alonzo Jardin is one of the best, if not the best, hurdling technicians this country of ours had ever produced.